MBD for ANSYS Lite is a 30 days free trial version of MBD for ANSYS for the evaluation purpose. You can use MBD for ANSYS Lite without any license file for 30 days. 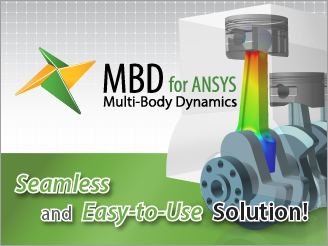 MBD for ANSYS Lite has some limitations there is no problem to experience the advantages of MBD for ANSYS.